DF MÉXICO: Hello Caio! Greetings from the Mexican Soldiers! First of all thanks for the invitation to give an interview to fans of DragonForce and the Fan Page “DragonForce México”, thank you for the interest and appreciation for my work with the biggest Speed Power Metal band that I know, DragonForce. After all, it is very important for any artist / designer to have his work recognized by the fans of bands we work for. DF MÉXICO: How many years old you had, when you started as Graphic Designer? Was that a dream since you were a kid? There was not a definitive moment or beginning time in arts. It was something that came from early, from childhood, doing some hand drawings and graphic works to school and for just for fun. As a child I have had some private freehand drawing classes with no purpose in work with this in the future. To be honest, I didn’t really liked freehand drawings and just walked away after some time. Without courses or professional help, I started to have a more professional interest in graphic arts and the use of graphic design softwares, around 15 or 17 years old, I am now 26 years old. I quickly got identified with Adobe Photoshop software and got deeper into new techniques and new references for Digital Art. Since I started to be more interested in Rock and Metal genres, what attracted me a lot to discover new bands, was the album cover artworks. I've always liked to keep the relationship between the art of the album and its music, giving a complete experience listening to the album. So I decided to join the business of art in music, in rock and metal, as a band graphic artist, fortifying a bit what might be forgotten behind in a digital world. DF MÉXICO: Has your family always supported you? I never did well in school, I always had low grades in all subjects without exceptions, probably because nothing interested me enough or that I saw as useful for my future. I had several personal problems regarding to my low grades in all subjects, and art was the only thing I had really good grades at all. Thus, the teaching system offered me help seeing some hope in me in a future in the with art and design having in mind all my graphical works done at the school, including of more advanced graduations than mine which they paid me to "finalize" graphically their school works. I even became a graphic designer of my school for two years being my first job in this area. So the school and my parents helped me a lot about grades and agreements with the school to make it possible to complete my high school and have a future in this area of design and arts. My parents are always very proud of every job I do, especially those made for DragonForce. They always follow me on all social networks. Also they like rock and even some metal bands, also went to the DragonForce concerts here in Brazil to honor my work with the band and had the pleasure to meet the band personally too. 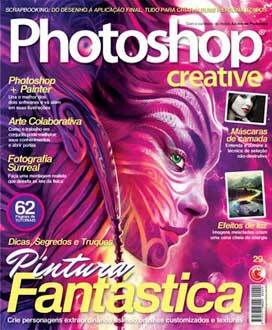 DF MÉXICO: In which schools have you studied to become a graphic designer? How long took the studies? Today I’m a designer trained, certified and authorized by Adobe in the main graphic softwares and graduated in Graphic Design in 2013 by the Italian University of Design, IED - Istituto Europeo di Design. 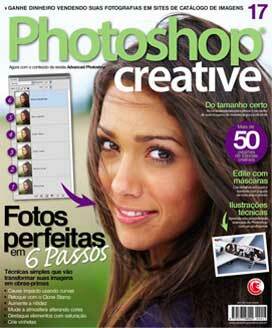 Around 2007, I started to get more interest into graphics softwares starting with Photoshop 7. Then I moved to the newer CS2 version of Photoshop and started to play more with some photos and editing images just for fun and training. I quickly fell in love seeing what could be done with Photoshop, so I decided to start learning the software seriously in order to be able to create some more professional works. 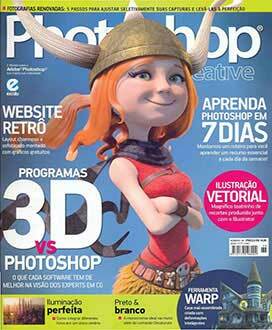 All my first knowledge has always been through research, reading magazines related to digital arts and graphic softwares such as "Photoshop Creative" which I got featured in several issues of this magazine and on their website too, and also watching tutorials from time to time. And so it was basically how I started my graphic studies. So I began to take it more seriously and take more professionally into arts and design at the end of 2009, and in 2010 I attended a year-long at an Adobe Authorized Training Center, having training in all main graphic softwares such as Adobe CS4, Illustrator CS4, InDesign CS4 and Acrobat X, to get a certificate for professional acting in this area, and also intending to enter the Italian University of Design, IED - Istituto Europeo de Design, where I got graduated in Graphic Design at the end of 2013 beginning of 2014 after 3 years of course. I learned a lot about design at IED and Adobe, although almost everything I do in my digital arts I have not learned there or at Adobe Training, I must confess that some things you just will not learn in schools and or university, in the end it just depends on your commitment to what you really likes to do. DF MÉXICO: If you weren’t Designer, what would you possibly do? From a very young age, I was introduced to music by my parents, especially to rock and after a while listening to everything, I began to focus more on Metal and its genres as Heavy Metal. Every day I discovered a new band, which made me want to get into the music business in some way. I started with the interest of being a musician, and I have learned and played some instruments, like keyboard, guitar and bass, for a few years. Even with plans to be a musician, to have a band and to follow this career, in the end I ended up discovering bigger interests in art and design and I completely abandoned the music, just as a musician of course haha. DF MÉXICO: Do you have many friends who followed the same steps as you? Do you have one who you consider as a "genius"? I can’t say if these friends followed the same steps as me. No one at school has definitely followed the same career as me, that's for sure. Some artists and designers who are my friends today, I met through work and research by professionals from the same graphic area as myself. Today I have as great friends, and especially my bigger “rivals” in the national music market of arts, Carlos Fides of “ArtSide”, Jean Michel of “Designations”, and some design "colleagues", like Marcelo Vasco, Gustavo Sazes, among other great Brazilian artists that I know that also work with graphic arts around music business. One of the main artists I've always loved since childhood, when I started listening to heavy metal and that influenced me a lot to get into the art business for bands, was the great artist Derek Riggs, creator of one of the most famous, if not the greatest, Heavy Metal Mascot: Eddie / Iron Maiden. This guy, yes, I consider a genius, and for me have illustrated the best and most incredible album covers that I have ever seen. It is difficult to describe their covers by the amount of details found in them or even hidden, especially those drawn for Iron Maiden. My Symbol, CadiesArt Signature, was totally inspired by Derek Riggs, who also had a mysterious symbol as a signature on his covers which represented a "DR". But the creation of my symbol was something more conceptual and also inspired by Leonardo DaVinci with the structure of the "Vitruvian Man", but the idea itself came from Riggs and his "secrets" in his illustrations. DF MÉXICO: Introduce us to CadiesArt - Digital Artwork. Always evolving in graphic softwares on my own, since 2007, I decided to go to a new professional level in late 2009 when came the idea of joining together my two passions: music and art. This year my first and current brand of Graphic Design called "CadiesArt - Digital Artwork" was born. The brand, after some time and a lot of dedication, soon began to be recognized internationally by new and underground bands. 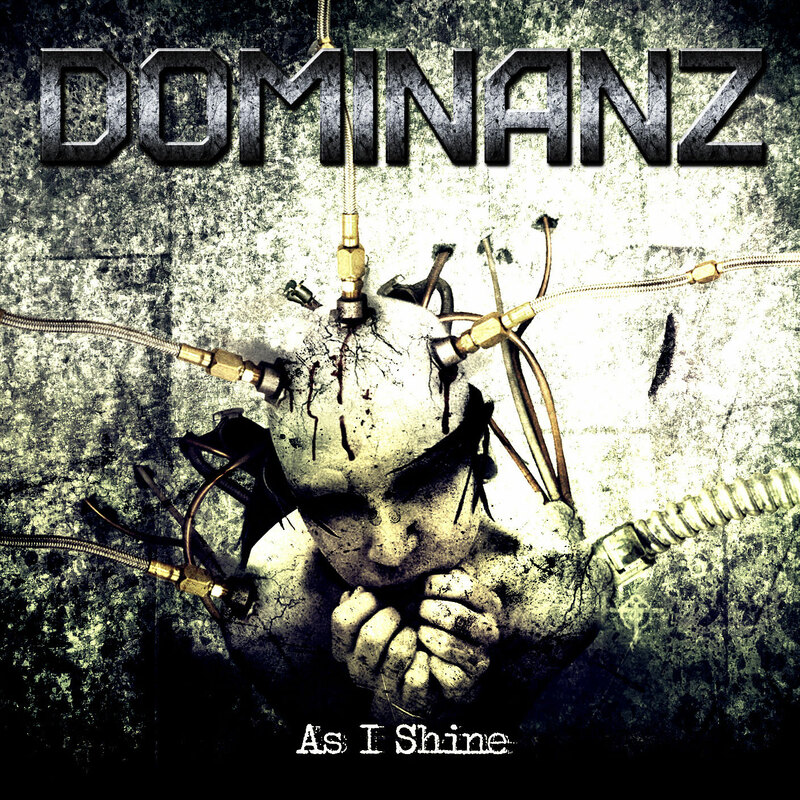 So my first art began to be sold quickly outside of Brazil, and my first art sold was for a Norwegian band called “Dominanz” and their debut album called "As I Shine" released in 2010. 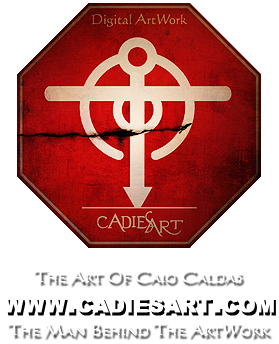 CadiesArt - Digital Artwork is a Brazilian Graphic Design Studio, which today it has focused more on the international music industry, specializing in 7 years already in artworks and designs dedicated to bands and musicians of rock and metal genres worldwide in this music industry. Has worked with about 45 countries and about 350 bands and musicians, trying to restore the importance of the relationship between music and art in times of download and online music where art is forgotten. 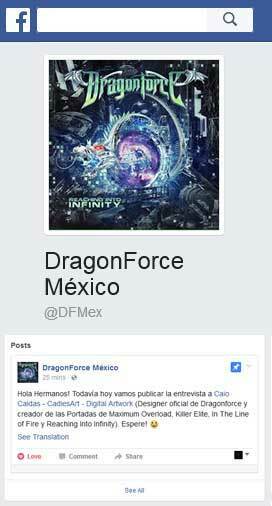 DF MÉXICO: How did Dragonforce contact you? The first one to visit and discover my website and work was Fred Leclercq, he visited my art gallery for sale on my website and immediately got identified with an art from 2013 #115. He commented on this art by email something like "I really like this artwork (# 115) by the way, it has a great vibe that made me work with you) ..." and this art was kind of an initial reference for the art of the album cover "Maximum Overload" too, although it seems more like a reference for the cover of the new "Reaching into Infinity" haha. 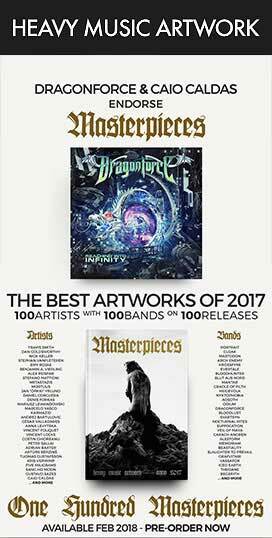 So the band's manager, Steve McTaggart, who was apparently looking for a new graphic designer for the band, liked Fred's indication and contacted me to work with DragonForce on their new album entitled "Maximum Overload”. Initially, the whole concept of the album cover "Maximum Overload" was discussed by e-mails with Fred, he even made a freehand sketch of what the bands wanted for the cover art and I have this draft with me until now days which is ununderstandable without having a prety description and I think I did a miracle transforming it into a cover haha. Later, the concept and art were finalized and discussed directly with Herman Li under McTaggart's approval. After "Maximum Overload", McTaggart ended up not getting more involved in the graphic projects with me, leaving all the approval and follow-up of the graphic projects to be dealing directly with Herman who has been working with me in all graphic projects since the album "Maximum Overload", then in the graphic designs of Best Of "Killer Elite", the DVD "In The Line Of Fire" and finally now in the long waited new studio album "Reaching into Infinity" 2017. DF MÉXICO: Before you create an art, where do you inspire yourself? Only after some time having this relationship with the covers of rock and metal albums I bought, I began to discover which artists were behind their covers. So I started to find some artist references for me and my arts. Today, as a designer and graphic artist for more than 7 years already, I have discovered that any type of work has a study or inspiration behind it, a research, even if unintentional. Today everything that is created, always has a reference behind it, day-by-day, movies, music, internet ... All this makes you stay in touch with art 24 hours by day. Anywhere you are there is something to get inspired. So when I start to create an art all this goes through my mind, generating new ideas, images and concepts. Sometimes some bands prefer to have their own initial concept idea for the cover artwork. So they initially send me their own ideas and references for the cover artwork, and of course they always leave some room for my personal vision introduced in the art and the final concept. So in this case, the bands send me a brainstorm, the whole concept and history of the album, this in case of a concept album, also some main lyrics that can help get some ideas, sometimes drafts and rough sketches, and so I start artwork. 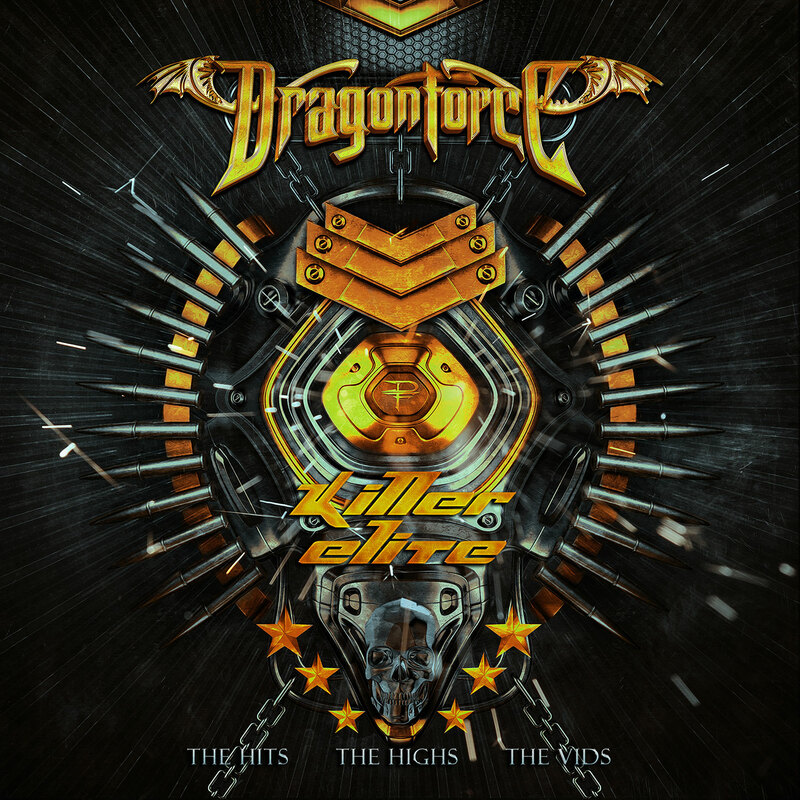 Sometimes all I have is the release title, as was the case of DragonForce's "Killer Elite", Best Of, as well as DragonForce's live DVD cover "In The Line Of Fire". DF MÉXICO: Which Dragonforce cover was more difficult to be created? The DVD cover of "In The Line Of Fire" may not have been the most difficult cover artwork done for DF, but certainly was the most undecided cover by the band talking about concepts and was also the one that had more versions. This DVD cover had 12 versions and 5 completely different cover concepts until finally it get approved. For the DVD cover, DragonForce had originally hired another artist with a different art style from mine, they wanted a freehand illustrated cover with a “manga” style, which I don’t do. I started work on the cover artwork using the “manga” illustrations done by this other artist, tried some cover versions, but I didn’t reach a satisfactory result and concept for the cover and then me and the band discarded that other artist and the idea of “manga” style. Finally Herman left in my hands to think about a new concept for the cover and finally we got the current cover which was approved after some previews and minor changes of concept and art. The cover of the studio album "Maximum Overload" was not the most complex and difficult one too, because all the time I was on the right way based on what the band wanted for the cover during its process of creation. The band initially sent me the concept of the album and a sketch hand-made by Fred. The cover only had one version and 11 previews for art with minor changes until the final result get approved by our friend Herman Li. The cover for Best Of "Killer Elite" as the band has no idea of a concept for the cover artwork, having only the title of the album defined, so then leaving me free to think in a concept for it, it was the fastest cover to get an approval in a few versions done. There were 3 cover versions and 2 completely different concepts including art style. The third version and concept was approved faster in the first preview of the cover sent to Herman. There were no changes needed on this this last third version approved. I don’t realy know if the cover done and approved for "Killer Elite" was approved as a matter of urgency to get the cover finished in a short time, because the deadline for it was absurdly short, or if they really approved it because they liked the cover. I didn’t feel very safe on Herman’s approving for this cover, but I consider a good and beautiful cover mainly for the colors which gave a break in the cold colors used in the previous covers created by me for DF. Finally the new cover for their new studio album called "Reaching into Infinity", to be released in a few months, was the cover that needed more work as was much more complex in details, within the concept of the album, than the previous covers and concepts. There was only one cover version resulting in 5 previews of the art with only a few changes needed during the creation process. In this cover I was also initially sent a final concept for the album and a digital sketch, a basic fuse of images made by Herman to explain more or less what he wanted in the art. The final cover art concept at the end was adapted by me by adding a portal and a Chinese dragon on the cover. 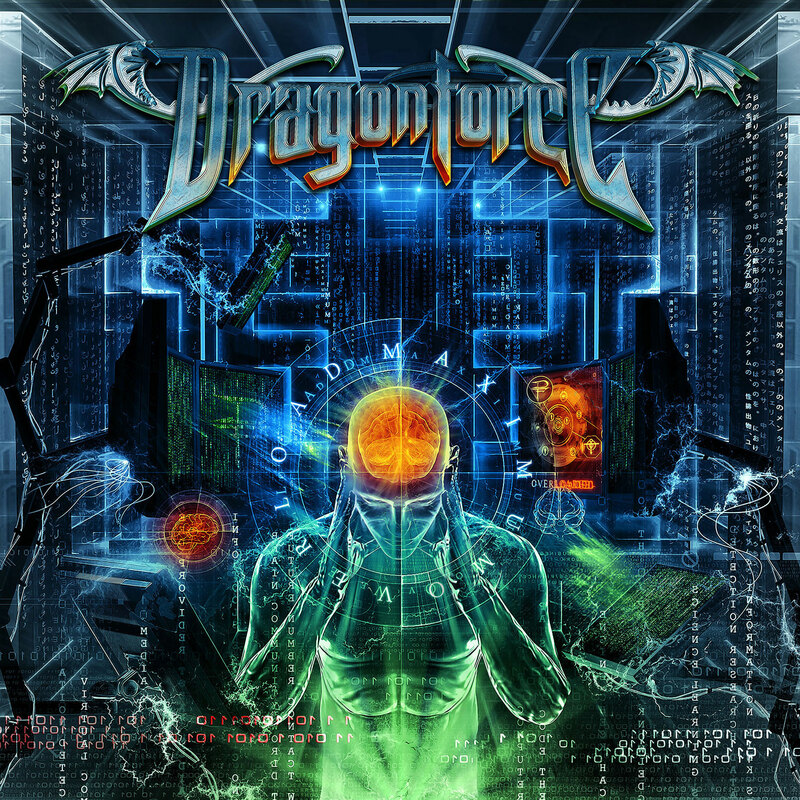 The interesting thing about this cover is that it was the first studio album released by DragonForce, that finally had a dragon on the cover, having a Chinese mechanical dragon to make it easy to convince Herman (haha), there was also the Live DVD cover "In The Line Of Fire "which I also came with a concept including Chinese dragons around the cover. 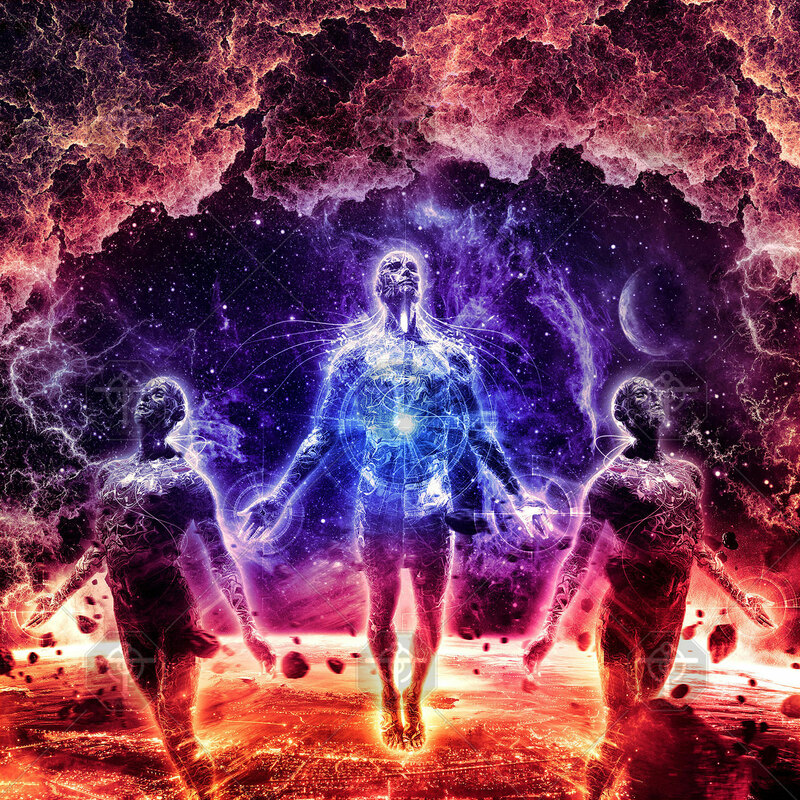 Not only was the cover of this new album "Reaching into Infinity" the most complex one, but also all the design and artworks done for the CD booklet and packagings, as for the CD Jewel Case, digipack and LP versions. It was a pretty cool and beautiful graphic design mainly in its colors I think. Currently I'm still working on the band's upcoming new merchandising, new website look with the new album theme, and of course a new backdrop for the new world tour stage. DF MÉXICO: Before you create an artwork, do you listen to the songs of the album? Listening to music is something I can’t miss when I'm creating a new cover, whether it's for a band or just to put for sale in my website gallery. I usually ask for a link to listen to the band or demos for the album I'm working on. I need to listen to music when I'm creating, even if it's not a song from the album being released, I try to listen to something from the band or other bands of the same genre which have influenced them. I think it's important to know if the artwork on the cover you're creating has any connection to the band's style, genre, lyrics and theme of the album. Also, when I'm creating my own artworks to put for sale, I always listen to some Metal bands I like during the creation process, this helps me a little in the process of creation and inspiration. DF MÉXICO: How does the creation process work? Okay, about my creative process, from conception to completion of the art. My area is Digital Art. All my art is 100% digital, with techniques of photomontage, digital resources and photo editing with the use of Photoshop mainly. I don’t use free hand drawing and illustration techniques by hand. 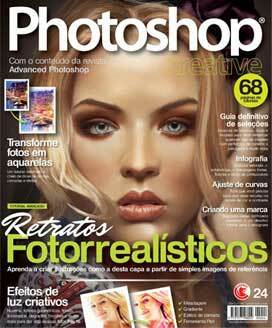 In this case of photomontage or phomanipulation, it consists of the fusing several images, these being of paid or free image banks/stocks, photos and illustrations, which, when put together, create a single scene which can become a realistic scene, a fantasy scene, an Surreal or abstract art. Most of my time as a digital artist is dedicated to image research, from paid or free stock photography and my own images stock database that today has about 20,000 images, always with high resolution and always respecting all copyright of use and modification. In the process of idealizing an art, I always try to have artistic references, to get some initial inspiration before I start it. After this step I make a basic image search, seeing what fits in initially and then apply the initial digital techniques and make a more in-depth search for the needed images as I create the art. I always try to learn new techniques that can be used in my future artworks too. When I get a good enough result to show to my client, I send a first preview of the art for a first evaluation. Once approved, I continue to work on it to do my best in the final art and make the necessary changes if requested, adjusting colors, improving art details and finally ending up for final cover approval. In short words, Design is a process that involves research, dedication, study, techniques, time and above all, knowledge and creativity. Don’t think that you will open Photoshop today and become a designer tomorrow, that's not quite how you build an artist and professional. DF MÉXICO: How do you feel being the Designer of one of the world's biggest Power Metal bands? 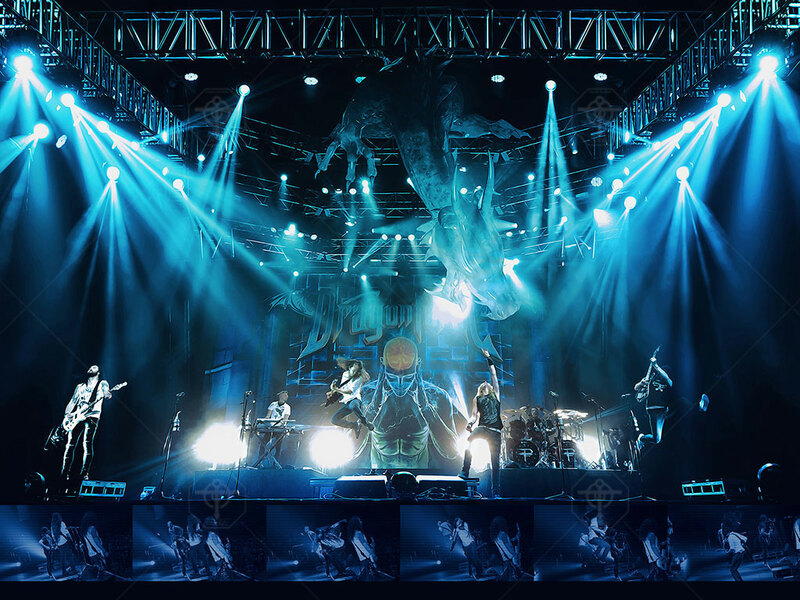 I think I could not describe exactly how is work with DragonForce, the world's biggest Speed Power Metal band. It's very gratifying today to work with other bands that always mention that their cover was created by the DragonForce designer, this happens a lot. 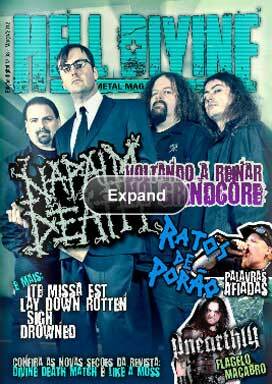 Many articled related to other bands that I have worked with, when they mention me, today they always put me as "CadiesArt (DragonForce)" or "Caio Caldas (DragonForce)", and this shows a huge recognition and respect for my work with DF. 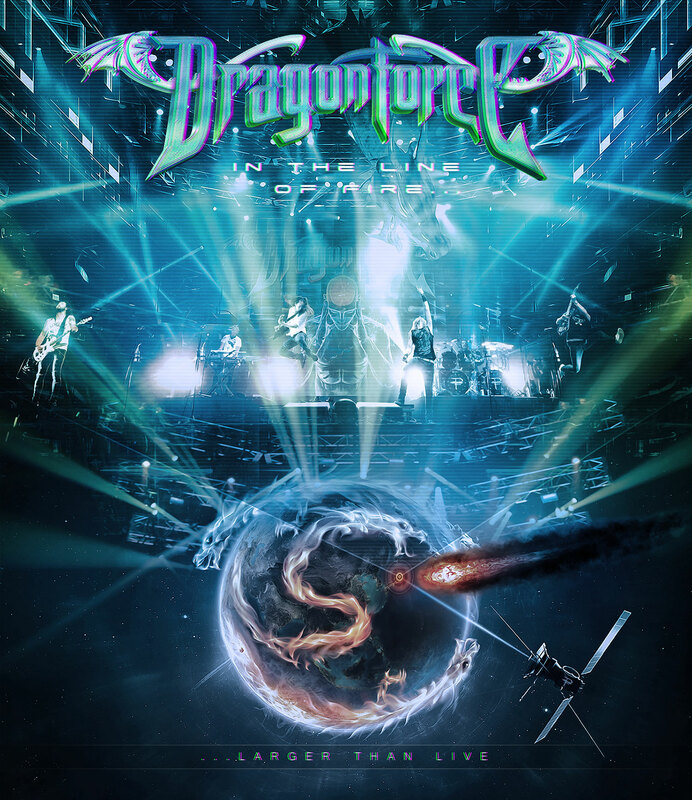 The bands I work with today show a lot of respect and pride for working with someone who has made covers for a renowned bands like DragonForce. Today I can introduce myself as the designer of DragonForce and this is sensational, and especially of extreme importance for my portfolio and future opportunities with other big bands as is the case of Épica which Herman Li from DragonForce approach me to them generating future opportunities with Épica. Finally, I am very proud to be able to highlight in my portfolios all the covers I have made for DF in the past years and now days. DF MÉXICO: What do you think about their arts being stamped and shown to the whole world behind the band's stage all over the world? I've done lots of stage backdrops, but for small and undergrounds bands. As for DragonForce, I made some huge stage backgrounds and when I saw the first photos of the stage for the "Maximum Overload World Tour" at Loud Park, that made me very proud to see the amount of fans there present watching the cover of the new album stamped on the back of stage, this in addition to seeing all the merchandising artworks I did for the DF, stamped on the fans shirts around the concert. The first opportunity I had to see DragonForce live on this "Maximum Overload" tour and see my art stamped on the stage and on the shirts, was at the Germany concert in Berlin, with Épica on January 17, 2015 at C-C Club, however the place was quite small and the main banner I think was not used, having only two vertical banners, one on each side of the stage, with part of the cover art. The second time I saw the stage personally was in the show in São Paulo, also with Épica, on this same tour and I was finally able to see the stage with its main background banner showing out my art, however due to the size of the stage the banner was halved. As on the tour "Killer Elite" which also I made 3 stage backdrops for the band, I didn’t have the opportunity to see it live but I saw some photos and I was very satisfied. I’m currently working on the stages of the new "Reaching into Infinity World Tour" and hope to see this tour live and enjoy once again my art being stamped for thousands of fans of DragonForce. DF MÉXICO: What is your favorite Dragonforce cover? Undoubtedly the latest one done for "Reaching into Infinity" 2017. I loved the Chinese mechanical dragon and the portal idea. I like a little more complex and detailed covers, covers that make you spend more time appreciating the cover. I also really enjoyed the final result of the whole design of the new album. DF MÉXICO: For which famous bands like Dragonforce do you work? I can’t say that I'm a designer for big bands, at least not yet (haha), but one of the musicians that made me proud to have worked with, was a simple project made for Paul Dianno (lead singer of Iron Maiden in 80’s). It was basically a new layout for his MySpace profile in 2010, if I’m not mistaken, at the beginning of CadiesArt, which was one of the services that CadiesArt offered when MySpace was more used by bands than Facebook currently is with its fan pages. Dianno used a lot of MS to announce new tours and works at the time, however, it had no layout, no photos, had nothing visually in his profile, only posts, texts and some songs as well. I was contacted by him to give life to his MS profile and make it interactive, complete, more interesting and flashy to promote his-self better, in short words, give a new image and look to his work. Working with Paul Dianno was really very special for me not only as a band designer but especially as a big fan of Iron Maiden history and a big fan of the one, that for me remains one, of the best vocalists in Heavy Metal History. After this work I ended up getting closer to Dianno, and he started calling me to the shows in Brazil, I had the opportunity to meet him several times, but I don’t keep contact with him that much now days. Doro Pesch, "the heavy metal queen", was also a great client for whom I had the opportunity to be able to do the band’s MySpace in 2011 I think. A simple work too, no album cover at all, what that I would love to do, but also a client of extreme importance to me being a big fan of her and had the opportunity to be personally invited by her to Doro’s show in Brazil, São Paulo as a guest of the band. A show that was also recorded to be released on DVD later on, which I have tried to get an opportunity to make the cover and graphic design of the DVD but I was not so lucky at the end haha. Some bands have their own designers who have been working with the band for a few years till now and it turns things harder to work with such bands for that reason. I think it's more or less my situation with DragonForce today, after 4 releases with the band, I think today I can consider myself as the band’s official designer and hopefully for a few more releases in the future haha. I also had a client that I consider the greatest opportunity of my career in the business of arts for music industry. It is not specifically about a great band or musician, but about a great movie legend! In 2013 I had the great pleasure and honor to work with the legend Sir Christopher Lee, the British actor famous for his movie villains like Saruman in "Lord of the Rings" or "Star Wars" with Count Dooku, or even in 007 or the first Dracula on cinema, among hundreds of known villains. Anyway, Christopher Lee became a big fan of heavy metal even after his 90 years old, liked bands as Black Sabbath and Judas Priest which were very close to him as friends. 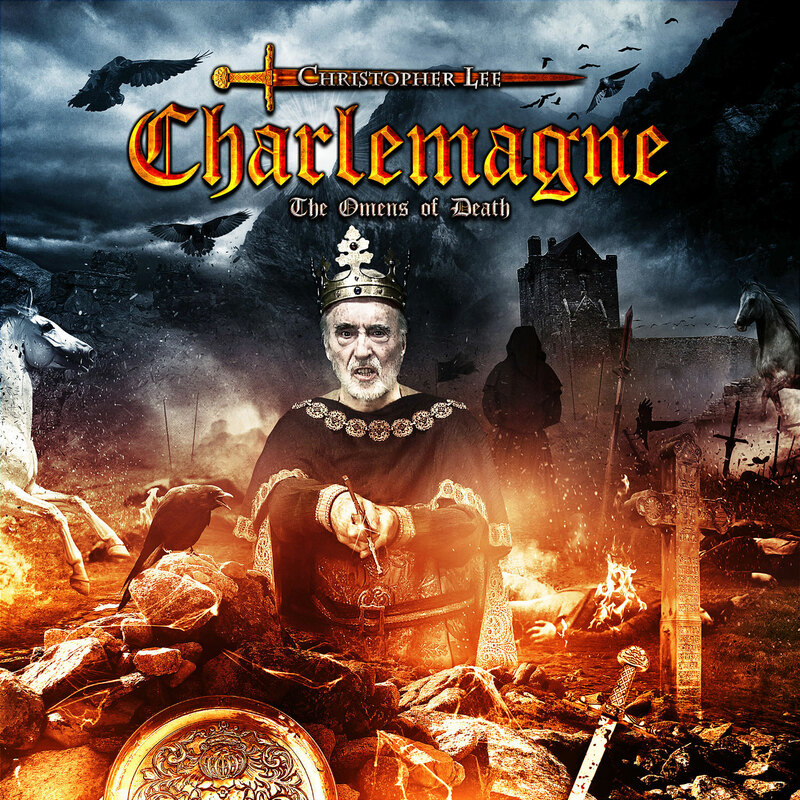 Christopher Lee after his interest in heavy metal and having participated in bands like Rhapsody of Fire, decided to play into Heavy Metal scene and created his Metal Opera project called "Charlemagne". So in 2013 I was contacted by him and his manager to work on the cover of his first heavy metal album titled "The Omens Of Death" featuring Judas Priest guitarist. In addition to making the cover of the album, I had the opportunity to do all the graphic design of the album which was released on CD and Double Vinyl. It was a great surprise for me to receive this contact because I would never imagine that this actor would have a heavy metal band and that I would have the chance to work with him. 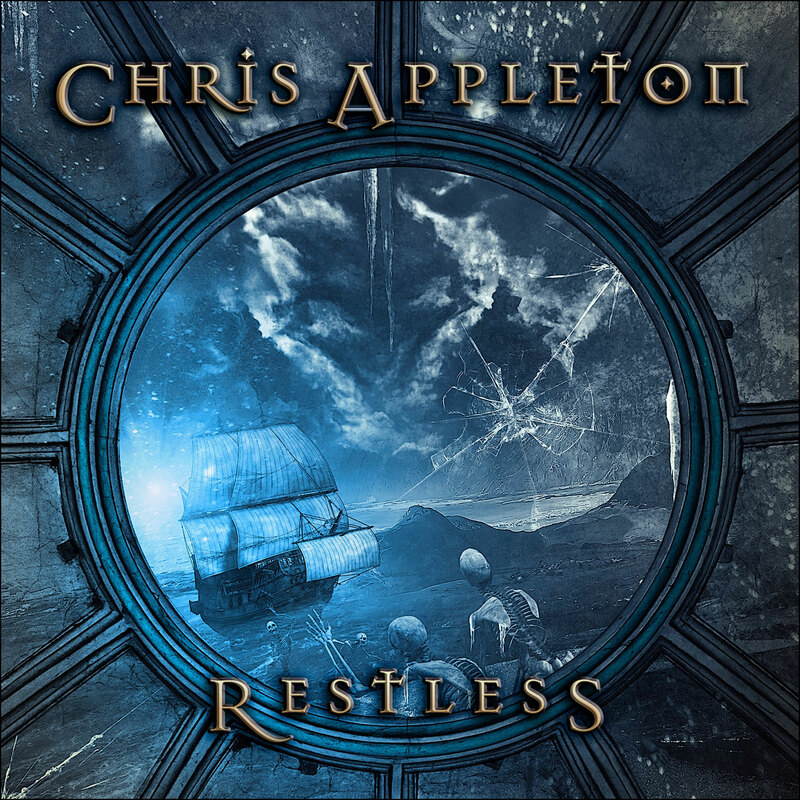 It took a few days to believe that we were talking about the same Christopher Lee that I knew, just belived in it upon receiving his studio photos to be manipulated on the cover of the album. Unfortunately Sir Chirstopher Lee passed away in 2015 with 93 years old. 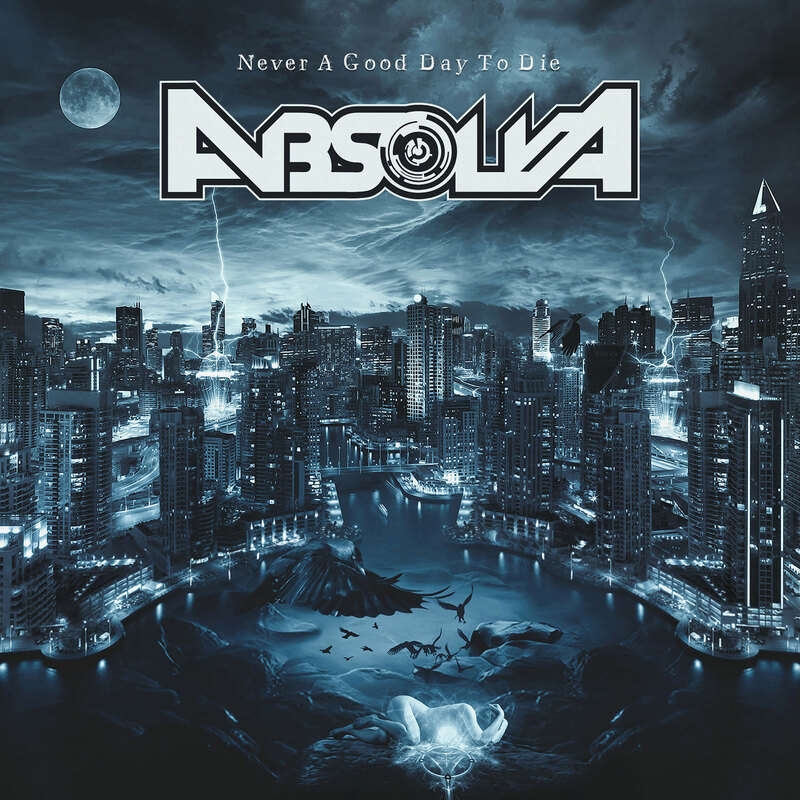 Other bands, which I don’t consider so big but I still consider known bands, was the bands that I have worked for some years and still work with them at the moment, Absolva which approached me to my friend Luke Appleton also musician of the band Iced Earth and his brother Chris Appleton bassist of Absolta and Blaze Bayley. 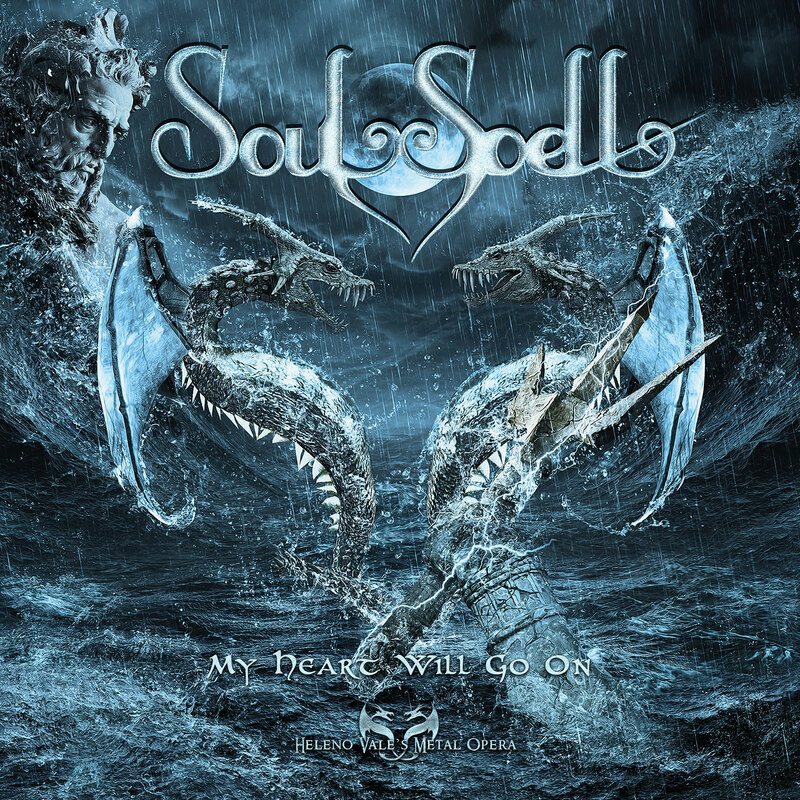 I have also been working on covers for the band SoulSpell, a big Brazilian Metal Opera project, which has several special guest appearances and guests of great metal bands and musicians. DF MÉXICO: Which band would you be happy to work with and still have not worked? Oh, there are lots of bands I would love to work with and make a cover. It does not come to mind a lot now, but I can cite a few like Queensryche, WASP, Dream Theater, Helloween, Slipknot, Doro, Judas Priest, Van Canto, Accept, Korn, Tarja, Nightwish, Jorn, Angra, Powerwolf, Avantasia, Stone Sour, Opeth, Épica as mentioned before, Sonata Arctica, Saxon, among hundreds of other bands I'm fan and would love to make a cover. DF MÉXICO: Has the cover of the band's new album been too complex for you? How long did it take to get done? 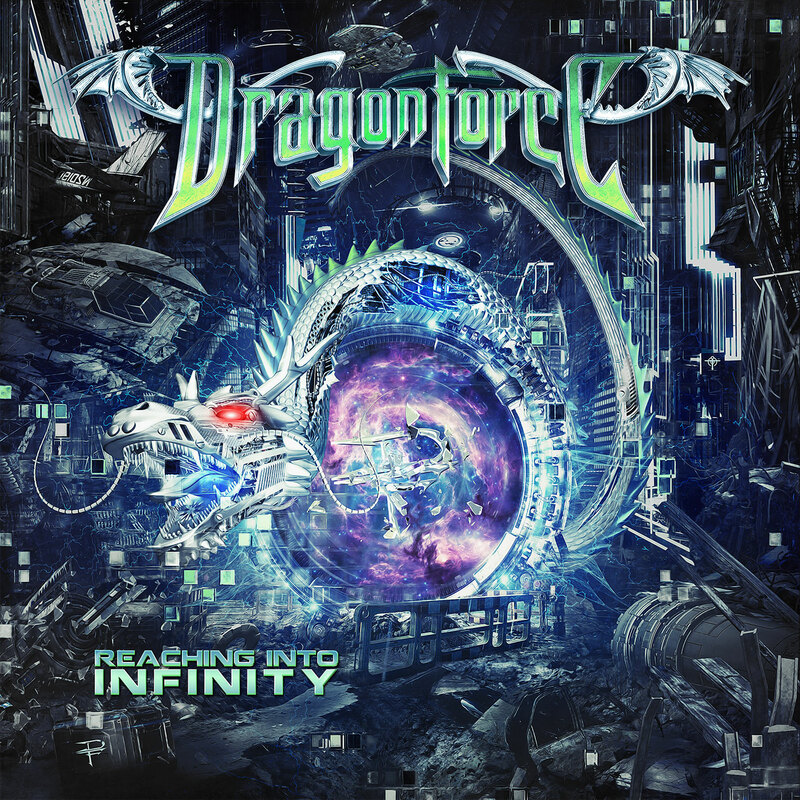 As I said, for me the cover of "Reaching into Infinity" and the concept itself was the most difficult one having in mind the previous releases and covers I worked with DragonForce. Many details, a more complex image research needed too, transforming a Chinese dragon into a robot was also kind of a challenge until you get a cool result. And not only will the cover, as soon you all will be able to see that all the album design, booklet and other versions that will be released, had much more complex and more developed artworks than in the graphic projects I made for the previous DF releases, as "Maximum Overload", "In The Line Of Fire" and "Killer Elite". Although only one version of the cover was needed and finished in only 5 previews of the art. It started around August 2016 and was finalized and approved only in the middle of January 2017, totaling approximately 6 months for the cover to be finalized and approved after all needed changes requested. DF MÉXICO: Do you intend to continue working for the band? How is your relationship with them? I think after the first cover done for DragonForce for the album "Maximum Overload" in 2014, they already have more confidence in me and my work and give me more freedom to work on a concept for the covers based on some of their initial ideas when necessary. It has worked well to work with the band and especially with Herman Li. I think the best way to get a well made cover is to start having a little freedom in creating it and to follow your instinct having full band confidence in your work and this has been happening with DragonForce and I think that's why I keep working with them and intend to continue in the future. There's nothing worse for an artist than having to create something they really don’t like, just to satisfy the band. My job is always to find the best way to represent an idea in the best visual approach and effective way possible. After all, after being released, it will always be my name behind the artwork done and it is not really cool to have your name in something that you don’t totally approve or didn’t really liked the final result. DragonForce has respected that too and bet a little trust in me and my work, and I'm grateful for it. DF MÉXICO: Where did your inspiration come from to make the cover of the new album? For tehir seventh studio album "Reaching into Infinity", about to be released now in 2017, I was originally sent a final concept of the album, a title which was later changed to better fit to cover art I believe, and a digital sketch - an fusing of images made by Herman to explain more or less what he wanted in the art. DragonForce bassist Fred Leclercq recently commented about the release title of the new album "The title of the album explains very well what we are trying to do with our music. Today's world is really crazy - there is fear of the future, and uncertainty But the power of music is infinite, and it can give people strength and hope. " And I agree 100% with him. The cover art on this album I think I didn’t had a specific inspiration for it, was basically based on the concept of the album and initial suggestions that were passed to me by Herman and on the titles and lyrics of the album tracks. The cover art and album concept turns around a timeless world, which does not have a specific time in the present, past or future. It was requested a seemingly ruined city, a mix of modern, old and futuristic city. It also brings a "gamer" presence as if it were a virtual universe, like "Matrix" universe, and everything was dematerializing in "pixels". Something like that I think. In the center of the cover, we thought in have a portal, some hole in time and space that would bring robots from other planets, like happens in the movie "Transformers", in which case a mechanized Chinese dragon would have entered our planet. I don’t know for sure if this dragon would be a threat to the setting where the scene goes, or whether it would be a proponent of events on the planet. Herman sometimes brings some ideas but without a conceptual development inside the cover, so I just execute them haha. DF MÉXICO: How is your contact with the band's fans? Do they always follow your work? I follow on Facebook I think the main Fan Pages of DragonForce, I had even got the pleasure of making some FB covers for them. I like to see all comments, publications and opinions of the fans when a new release with cover made by me is announced by the band. During the announcing of the new cover forteh new studio album "Reaching into Infinity", I followed all the comments from all the Fan Pages, as on the official pages of the band too. It was really cool how Herman decided to reveal the cover, giving fans the chance to imagine, in every piece revealed, what the final cover would look like. When it was revealed part of the title, this gave the fans some room to imagine possibilities of titles too. It was very interesting and fun. Today I think I have a lot of fans of DragonForce who follow me either on Instagram or Facebook, some add me on FB and they are very welcome. I think these DragonForce Fan Pages actually helped a lot of the band's fans to find out who is the new DF designer, because something that lets me down a lot while working with DragonForce is their lack of recognition for my work done with their band that has been done almost during 4 years already. I've never seen even one publication that the band mention me for the cover artwork done. I've never been mentioned in the band's pre-releases for having made the album cover, neven when a cover I did is revealed on the band's social networks. They never gave me the credit for my graphic work other than on the booklets and inserts where it is obligatory to have. So these Fan Pages gave more visibility to my work with DragonForce so that way the fans could know who I was and found out other works of mine too. Many Brazilian fans didn’t even know that the band's current designer was a Brazilian artist and that got many of them really proud as well. 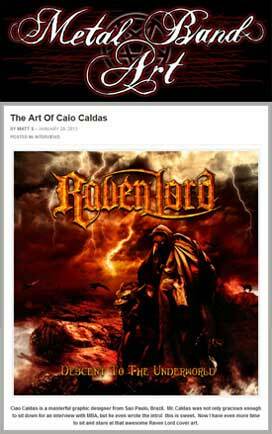 I think every Brazilian fan of DragonForce is proud to have a Brazilian artist as designer of their favorite band. Anyway, I hope DragonForce fans are enjoying my work with the band these past years and now. DF MÉXICO: How was your first personal contact with the band? With DragonForce I had the chance to meet them in person in Germany for the first time, in Berlin in 2015, when I was on vacation around Europe going through 5 countries with my girlfriend, and when I was in Berlin, a DF concert with Épica was set and logically the band invited me to the show. It was the best experience of my life to meet them in person, not because I was meeting a famous band, but because I worked so long time with them and finally was being able to meet and talk with them personally, which is very different from emails and talking in online chats. After the DragonForce show, we had a backstage meeting which was really cool, lots of beer, laughs and jokes. Haha Me and my girlfriend, who is also the current DF Web Designer, stayed, during the entire Épica concert, in the dressing room along with DragonForce, drinking and talking. We talked a lot with Fred who gave some tips about Paris for us, because the next day we would go to Paris, and also very clear with Herman who was very excited to finally meet the man behind the artwork of the album recently launched, in that time the "Maximum Overload" album. Later in Brazil, on the same "Maximum Overload" tour on March 8, in Sao Paulo, I had the second opportunity to meet the band an hour before the show, but besides some beers and conversations, the main reason for the meeting was to discuss some ideas about the live DVD cover "In The Line Of Fire" that was about to be released. We sat down to discuss a new concept for the cover after the “manga” versions, which I mentioned earlier in this interview, were aborted. It was on that day that we got the initial ideas for the final cover that was finally approved for the DVD later. I was also presented on that day in São Paulo concert, with a LP of "Maximum Overload" autographed by the entire band and dedicated to me with thanks for the artwork done. In that show Fred put me, together with my friends, in the best place of the house in front of the stage, and after the DragonForce show, Fred and Herman stayed a good part of the Épicas show with me and my friends, talking and enjoying the show, as well as Herman introducing me personally to the manager of Épica, which was really cool, and hopefully one day have the opportunity to make a cover for Épica. DF MÉXICO: What do you expect this year 2017 for the band Dragonforce? Look, actually the most expectation has already happened, that was the release of a new studio album and this I already knew that was coming in 2017 since I started working on "Killer Elite" best of. I was just not sure when it would be released, but having in mind of the release of "Maximum Overload" I imagined it would be in the same period. So what I expect in 2017 for DragonForce is that they go through Brazil with a great show, maybe not as opening band but as main band, which would be awesome. I hope to be able to meet the band again and enjoy some time with them. And I hope to meet some fans of DragonForce Fan Club and be able to sign some posters or albums together with the band. This meeting with the Fan Club was to have happened at the show in São Paulo in 2015, but due to issues of communication failure, I ended up arriving at the venue after the fans' meeting with the band, unfortunately. DF MÉXICO: Have you worked for any band in Mexico? In those 7 years that I work with bands, I worked with only one band, a Heavy Metal band, from Mexico, called "Padre Nuestro". But the cover I did for them last year has not yet been revealed, and I look forward to the upcoming album in 2017. In fact, Mexico, I may be wrong, but there are not many metal bands there, I don’t think it's even among the 25 countries with the largest number of Metal bands in the world. I have worked with bands even from Ukraine and Slovakia which have less than 500 metal bands with well-known names, but I rarely get contact from bands in Mexico. Maybe you at “DragonFroce Mexico” fan page can introduce me to some good Metal bands in Mexico and maybe I'll work with them in the future. DF MÉXICO: What message do you want to leave for Mexican fans? Well, it was a pleasure to have made this interview for my DragonForce fans, and for the Fan Page DragonForce Mexico. I hope it was an interesting interview and it helped to know a little more about me and my art. I have a lot to get done yet with DragonForce by the way haha. My updated works, including all artworks and designs done for DragonForce, can be found in high resolution at my official website www.CadiesArt.com and on my Facebook facebook.com.com/CadiesArtwork. Digital, Standard Edition CD, Double Gatefold LP and a special edition Digipack CD with bonus multi-angle live DVD at the Woodstock Festival Poland 2016.